Scrolling through facebook hoping to sell a snowmobile, Jeff Norman saw a bone stock for sale and sent a message to the seller, asking if they’d accept a snowmobile as a trade. The seller easily accepted, and he was headed to the race track with a car in hand. He may not have gotten out till near the end of the season, but was impressed with the speed shown by the JNL Motorsports team. He had an interesting introduction to racing on the final points night of the season, finishing second in the first qualifier before watching the hood come up in his face during the second heat. However, he’d battle hard through the field to a fifth-place finish. He also came out at the Velocity 250, placing third and fourth in the qualifiers, and was running strong in the feature as he made his way into the fourth spot. However, his strong run came to an end when he brought out the fourth caution for the wheel coming off of his car. 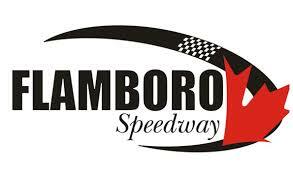 After the welcomed experience in September, he has committed to running the full-time Bone Stock schedule at Sunset Speedway in 2019, along with having a second car out in April with a guest driver. While the chance to get behind the wheel came up in an unorthodox fashion, it’s something that he’s always wanted to do.